Australia is joining the world’s top echelon of innovation economy ecosystems. I recently witnessed the transformation firsthand when I spoke about innovation companies and their investors at the Sunrise Conference in Sydney, organized by Blackbird Ventures, one of Australia’s most active VC firms. On my way home to Silicon Valley, I drew up a list of the key reasons that global entrepreneurs and investors should pay attention to the nation down under, which ranks as the world’s 12th largest economy. I was struck by the entrepreneurial spirit that defines the country’s flourishing tech ecosystem. Tech success stories can be found everywhere. Shoes of Prey, Canva, Bugcrowd, Unlockd, Deputy, and Flirtey are just a handful of the many Australian startups that closed impressive syndicated equity rounds from international investors and are now considered world-class companies. These numbers speak volumes: The Startup Genome Global Startup Ecosystem Ranking Report 2017, released in March, found that Sydney startups achieved the highest exit growth rate in the world over the past two years, at 370 percent. The same report also ranked the city 10th in the world for funding, 12th for talent and 13th for global market. Some tech founders are now household names in Australia, notably Atlassian’s Mike Cannon-Brookes and Scott Farquhar, who became billionaires after taking the maker of software collaboration tools public on NASDAQ in 2015. Venture capital funds in Australia are adding billions of dollars to the economy. Corporate VCs including Salesforce Ventures and Telstra Ventures have also targeted the country for opportunities and made multiple investments. 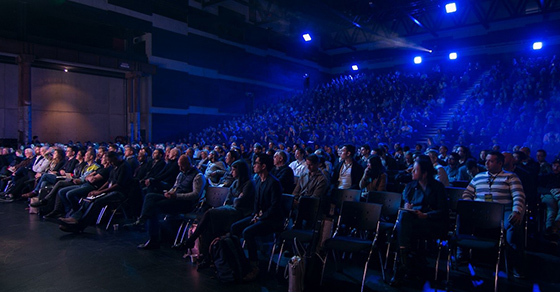 During my time at the Sunrise Conference, it became clear to me just how many connections there already are between Australia and Silicon Valley. Many Australian tech founders have worked for Silicon Valley companies, enabling them to get experience here before returning to Australia to launch or scale their own companies. Anil Sabharwal, a Google vice president of product and Australian citizen, recently moved to Australia from Silicon Valley to join AirTree Ventures, one of the largest VC funds in the country. He told the Australian Financial Review that he will keep his job at Google while mentoring Australian entrepreneurs looking for Silicon Valley entrees: "I want entrepreneurship to thrive here." The Australian government is supportive of the startup community, recognizing the role startups play in job creation and how venture capital impacts the nation’s economic growth. With strong economic ties to Asia, Europe and the U.S., the government is committed to developing the nation’s innovation economy in order to compete globally. As a start, the government is funding research, tech awareness campaigns and initiatives designed to grow the venture capital industry. And the government itself is a large investor in VC funds: Australian pension funds are the largest limited partners in Blackbird Ventures. Perhaps most importantly, many Australian laws regarding startups here are based on Silicon Valley best practices. In conclusion, while Australia has been making great strides, challenges for startups remain. John Henderson of AirTree Ventures, who recently returned to Australia from stints in London and New York, provided a good overview of the issues. Among them are the need for better structuring and funding of early-stage investments and increasing the national dialogue around entrepreneurship and innovation. At Silicon Valley Bank, we’re excited to play a role in Australia’s future as a launching point for innovation companies and their investors. For more than 30 years, we’ve worked to help companies of all sizes bring bold ideas to fruition. Based on my observations during the Sunrise Conference, there are plenty of opportunities to pursue in Australia. Vera Shokina is a Managing Director with Silicon Valley Banks’s Global Gateway group. In this role she assists international venture capital funds and global innovation companies with their US and international market expansion. Prior to joining SVB, Vera was a Partner, CFO and COO of Runa Capital, a $200MM venture capital fund, where she was responsible for all finance, legal, operations and investor relations functions. Prior to joining Runa in 2010, Vera spent five years as a VP with Silicon Valley Bank where she was responsible for building relationships with technology start-ups and oversaw a $50M USD venture debt portfolio for early-stage VC-backed software and services companies. Additional Silicon Valley experience included work at GE Capital and Goldman Sachs & Co. Before moving to the US, Vera worked for Citibank Moscow, where she managed a portfolio of loans and traded Russian equities for institutional foreign investors. Vera holds an MBA from the Moscow Finance Academy and a bachelor’s degree in foreign languages from Moscow State Linguistics University.